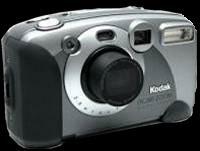 Our first camera was a Kodak DC280. 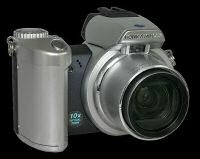 This camera had a 2 Megapixel resolution and a 2X optical zoom - advanced for its time! Nowadays you could buy a decent digital SLR for the same price plus an extra lens!! The next camera we bought was an Olympus C700 ultra zoom. This had a 10X optical zoom, many more features such as full manual control and was Steve's pride and joy. 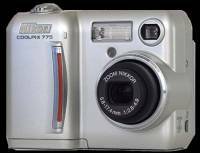 Teresa's first foray into digital photography was made with a Nikon Coolpix 775. This small flexible capable camera proved itself very useful as an introduction to the joys of the new media. 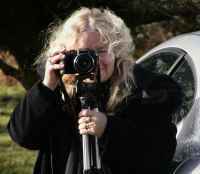 Teresa soon outgrew the Nikon Coolpix 775 and became the proud owner of a Fuji FinePix S602 Zoom. This SLR type camera has a 6X optical zoom and a 640 by 480 video mode amongst a host of other features. 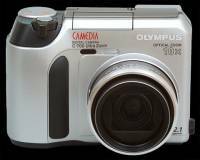 The next camera bought was an Olympus C750 ultra zoom. A replacement for Steve's Olympus C700 UZ, it still had the 10X optical zoom but with a 4 Megapixel resolution and added features. 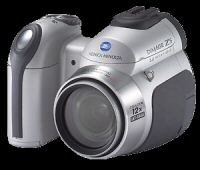 Next was a Konica Minolta Dimage Z2 for Teresa as she wanted a bigger zoom and better resolution. The Z2, like the Olympus C750, has a 10X optical zoom and a 4 Megapixel resolution, but also had (for then) an impressive video mode of 800 X 600 pixels together with a far faster performance than the Fuji. Teresa's Dimage Z2 suddenly 'died' one day and, being no longer available, a Dimage Z5 was substituted for it (the Z2 has subsequently been fixed by our youngest son Sam - well done Sam!). 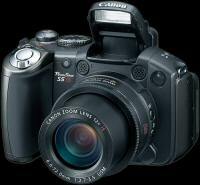 The Z5, had a 12X optical zoom, a 5 Megapixel resolution, image stabilisation and could take macro shots from 0.4 inches. Steve finally took the plunge and, due to Olympus not having developed their ultra-zoom range at the time, made the jump to a Canon Powershot S2. 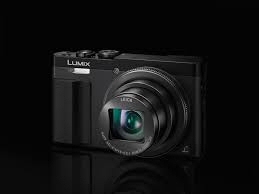 This has a 12X optical zoom, a 5 Megapixel resolution, image stabilisation, macro shots from 0 inches and a decent video mode. This camera was so impressive that Teresa wanted one and so the Dimage Z5 was replaced! Steve's Canon Powershot S2 started to give trouble - over use probably! 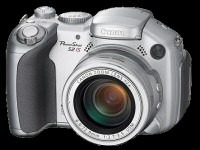 He then bought the updated Canon Powershot S5 - the same 12X optical zoom lens but with a resolution of 8 Megapixels, a larger 2.5-inch LCD, Canon’s DIGIC III image processor plus other added features. Teresa's Canon Powershot S2 was beginning to look outdated so in March 2009 she upgraded to a Canon SX10. This camera had a optical zoom of 20x, with a wide angle of 28mm and a resolution of 10 Megapixels and a DIGIC IV processor. As you can see it was a very impressive looking camera which took great shots. 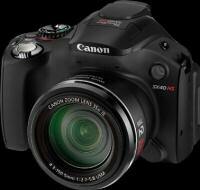 Steve then bought a Canon Powershot SX20. 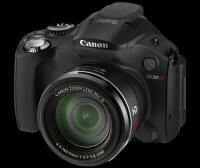 Much the same as the Canon SX10 but with a resolution of 12 Megapixels and the ability to take HD videos. Teresa then moved to the Canon SX30 with had a 35X optical zoom and a wide angle of 24mm. The Canon Powershot SX30 proved to be a big disappointment and, when Canon released the Powershot SX40HS, it was traded in for the newer model. Keeping the same 35X optical zoom lens, the SX40HS has a 12 Megapixel backlit-CMOS sensor, full HD video recording, a DIGIC 5 processor and vastly improved image quality over the SX30 (and previous models). In fact, this model proved to be so good, a second SX40HS was bought so we were, once again, using the same model of camera. 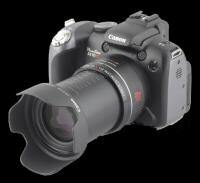 a 60x optical zoom, a 16.1 Megapixel CMOS sensor and 1080p 50i Full HD video capture. The zoom is the equivalent of 20 – 1200mm in 35mm terms. Therefore it offers an excellent wide-angle capability as well as an exceptional long reach. Steve wanted a camera that could be carried everywhere, had a reasonable zoom, an electronic viewfinder and could take decent photographs. 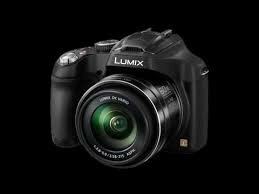 He finally decided on the Panasonic Lumix TZ70. It weighs only 243g, fits into a jacket pocket but has a Leica Elmar lens with a 30x optical zoom, a built-in EVF, a control ring for selecting options and an eye sensor to switch between the EVF and LCD screen.